ARE THERE ANY UPCOMING EVENTS IN 2019 IN UK? 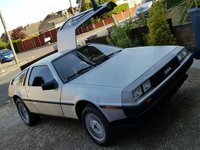 Hello, I am trying to find an upcoming event for my son to see a delorean. I have been trying to find a driving experience for him with one as his 21st Birthday present. A lot of the "driving experiences" show a delorean but when you get into the pages they no longer offer this at all. He would love to maybe sit in a delorean or be taken for a ride?? . He is 21 soon to be 22!! Hope you can help? We live in Cambridgeshire but anywhere reasonable considered. Thank you. Re: ARE THERE ANY UPCOMING EVENTS IN 2019 IN UK? The summer club meet is coming up in June (exact date currently tbc), it is held at the Dragon Fly Hotel in Kings Lynn. 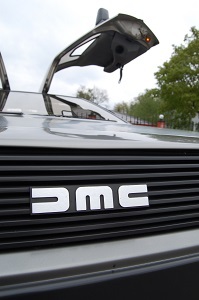 There will be multiple DeLorean's in attendance and plenty of chance to get a look round and sit/ride in a car. Im hoping to have my car attend in june. Ive just recently imported mine but If i cant get my car there im sure one of the other owners will oblige. I would be happy to take him for a drive. My first driving experience was with a company that i believe only do buses now. They held the experience at north weald airfield. They stopped the delorean in 2017 and iirc the reason was cos the car was too much to maintain for them. Shame really as it wasnt a bad car. The June meet will be on the weekend of 7th/8th June. I'm just waiting on price confirmation then it will have its own thread.